We teachers shouldn’t shouldn’t shy away from tackling what some would consider “controversial” issues (The Best Posts & Articles On How To Teach “Controversial” Topics) and that includes the Standing Rock protest. Battle Over an Oil Pipeline: Teaching About the Standing Rock Sioux Protests is from The New York Times Learning Network. It’s clearly the number one place to go. 7 history lessons that help explain tribal N.D. pipeline protests is from a Portland TV station. 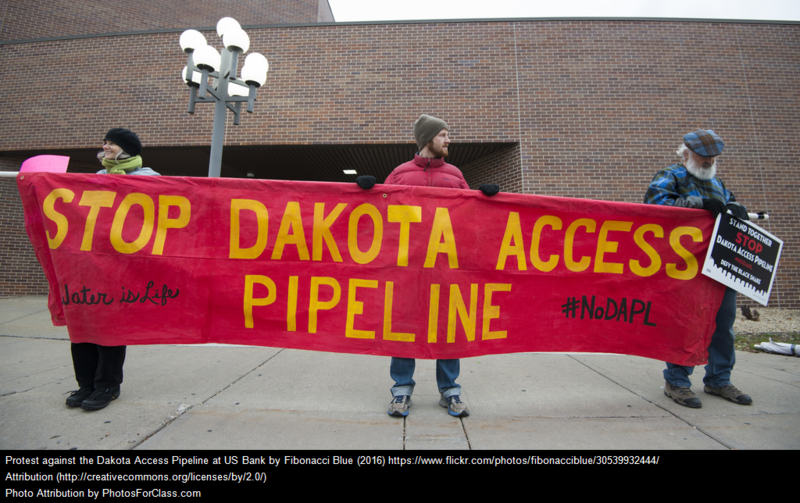 North Dakota Pipeline Protest – Indigenous Nations Unite is a good lesson plan. Helping Students Connect With Standing Rock is from Teaching Tolerance. Thanksgiving at Standing Rock are amazing photos from GQ. Water Cannons and Tear Gas Used Against Dakota Access Pipeline Protesters is a photo gallery from The Atlantic. ‘This pipeline represents something deeper’: Voices from Standing Rock is from The Washington Post. Gallery: Portraits from the Standing Rock protests is from TED Talks. As police crack down on Standing Rock protesters, maybe read some books by indigenous authors is from Vox. Standing Rock Pipeline Protesters, Ordered to Leave, Dig In is from The NY Times. Fake Cowboys and Real Indians is from The NY Times. The Conflicts Along 1,172 Miles of the Dakota Access Pipeline is a NY Times interactive. Understanding the Standoff at Standing Rock (with Lesson Plan) is form KQED. Hi, thank you for linking to my website here (teachik.com). I am interested in promoting working with indigenous topics in high schools. If you are interested in any of the other topics I have on my site, do let me know. Currently I am focusing mainly on Aboriginal Australians and the Sami, but I hope to include other indigenous peoples eventually.